At the recent Academy awards, a documentary highlighting the importance of breaking the stigma of menstruation won an Oscar. During their acceptance speech, the producers of the film “Period. End of Sentence”, Rayka Zehtabchi and Melissa Berton emphasised the importance of speaking openly about menstruation and feminine hygiene around the world. “A period should end a sentence, not a girl’s education,” concluded Berton. The film documents a group of women who use a machine to make low-cost sanitary pads in a village in central India’s Hapur district in a bid to improve female hygiene, women’s empowerment and development. The Pandula Trust also recognises the need for similar awareness In Namibia and last year contributed towards a drive to supply school girls with sanitary pads at the coastal towns. 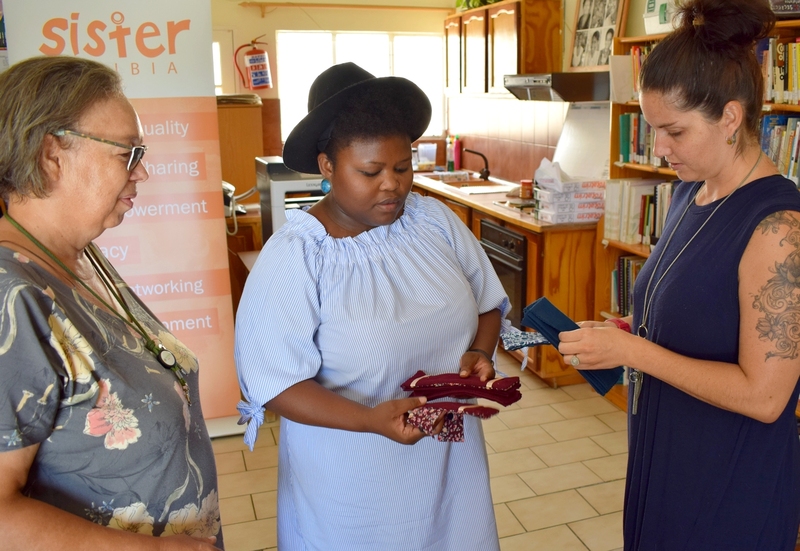 Earlier this week Pandula contributed close to N$5000 to the Sister Namibia project to distribute re-usable sanitary pads in the northern regions of Namibia. Instead of using everyday pads and tampons which most communities are not able to afford, the Sister Pad has become a solution. This well designed cloth sanitary pad is reusable, environmentally friendly, can last up to two years and drastically reduces the cost of having to buy normal pads or tampons every month.